How do you assess student learning in the library? It is challenging for a number of reasons, mostly due to time constraints. We have to teach a lesson or do story time, do book check-in and check-out and take care of a hundred other tasks, often with little or no assistance. And we have to do all this in around 40 minutes (give or take). This leaves little time for any kind of assessment. So when I heard about Plickers I was very excited. 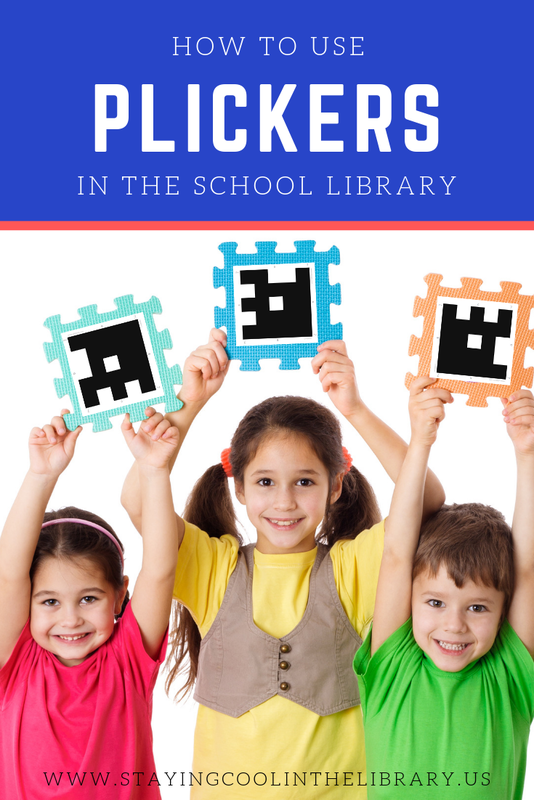 Plickers is a free online assessment tool that can easily be used in the school library. Even though it has been around for a while, I somehow just discovered it. It is easy to set-up and requires only one mobile device (for teacher use). And best of all - it's free! You create the questions and the students respond by holding up their paper clicker or plicker. You scan their plickers with your mobile device and the responses are shown instantly. This is a great way to immediately gauge what concepts your students have learned and what they are struggling with. 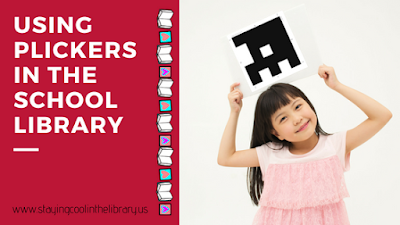 And since you can assign each student their own individual plicker, you also know which students need the most help. Follow these simple steps to begin. Go to www.plickers.com and create your free account. Download the app from the app store for your mobile device. Most likely you will want to use your SmartPhone or a small tablet. Go back to the website and create your class. As you add your students they are automatically assigned a number. This number corresponds to the card they will use to respond. I wanted to mention a couple things about creating classes. You can create as many classes as you want to. I see 6 different classes a day 5 days a week. I am only using Plickers with 3rd – 5th right now which lowers it to 15 classes. However, I do not want to create 15 individual classes in Plickers. But I do want to know which students are answering correctly and which ones aren’t. Luckily this is easy to do with a seating chart. I already give my students' assigned seats so all I needed to do was label each chair with a number. So if Alice is assigned to seat 14, when I look at the responses for her class, I know if Alice answered correctly or not. When you have your classes created, you will need to print out their response cards. Once you print the cards you can use them over and over again. Lamination is not recommended unless it is matte lamination. You can print on cardstock, but make sure it is white or light colored paper. Darker colored paper will make it harder to scan the card. The cards can be printed in two different sizes. Each card is numbered at the corners and each side of the card is labeled with a letter (A/B/C/D). When a student decides on their answer, they will hold the card in the air with their chosen letter at the top of the card. Questions must be multiple choice or true/false. You can enter the questions on the website or directly in the app. After you create your questions you can store them in various folders so you can re-use them. But the part I am most excited about is the option to upload an image as a question. I use task cards with my students frequently. So with Plickers I can take a screenshot of each task card and upload it as a question. And since most of my task cards have the answer choices listed on the card, I don’t even have to input the answers into Plickers. I just select the letter of the correct answer. This saves even more time. Below is an image from my plickers library. It shows two questions that I have uploaded. I have two folders (author's purpose and cause/effect). And it shows the question queue on the right. The queue is where you will select a class and then add questions to that class. When you first use Plickers with your students take the time to thoroughly explain the process and allow them time to practice holding their cards up with the answer choice at the top of the card. You may want to give students a clothespin to help them, just remind them not to cover up any part of the code. Practice with some silly or fun questions first. Things like, which book character is the scariest (provide 4 choices). Or true or false – the library is more fun than p.e. This will help your students learn the process and give you time to practice scanning their cards. Scanning the cards is fairly simple. You do not have to walk around to every card and scan it individually, that would take too long. When you are ready to begin open the app on your device. Select the class and open the first question. You may also want to have the website open on your computer so you can project the questions on your SmartBoard. On the website select “live view”. This will project the question and the answer choices. When the student decides on an answer, they will raise their card in the air with their answer choice at the top. If Alice wants to select letter C, then the C will be at the top of her card. Once the cards are in the air, hit the camera icon in the Plickers app and scan the cards. You can stand in the front of the room and scan most of the cards, it is pretty amazing how well this works. As you scan the student’s number will turn red or green to indicate whether they answered correctly. Once the answers are scanned you can immediately discuss the question with students and review if necessary. You can also go to the reports section at a later time and print off score reports. You could use these reports as data for an evaluation or professional learning goal. This is an example of a question with right and wrong answers selected. Three students have answered this question. If you click on reveal answer you will see which students answered correctly (green check) and incorrectly (red check). This is an image of the website after you begin scanning cards. One student in the class has not answered yet. The other 3 students have all responded. This question has no right or wrong answer. You will want to click on the graph button to see all the answers and how many voted for each option. Plickers can be used in so many different ways with all grade levels of students. Exit tickets – There are numerous ways you can use Plickers and exit tickets together. Here is just one example. 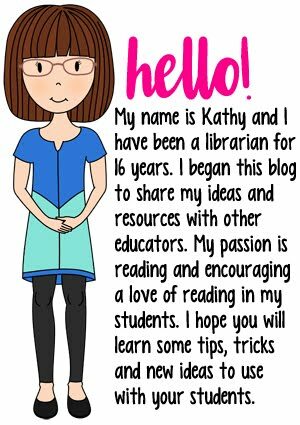 You can use this idea while students are checking out library books. As each student comes to the checkout desk ask them a question. When they decide on the answer scan their Plickers card. At a later time, you can go back in and see the responses. Task cards (group work) – First, upload the task card images into Plickers. Then have students complete their task cards at their tables and record their answers on a recording sheet. Once it’s time to review the answers, hand out their Plickers cards (you might want to have one card per group). Show each question one at a time and have one student per group raise their plicker card with their group's answer. Scan the cards and then discuss. Polls – Whenever you want students to vote on something or choose between different options you Plickers. Reading comprehension after story time – First, create a series of reading response questions. I’ll use the book Corduroy as an example. #1: True or False: Corduroy is the main character. #2: Lucy wants to buy Corduroy and take him home. #3: What does Corduroy NOT do in the department store: A. ride an escalator, B. knock over a television, C. pull a button off a mattress, D. search for a button. Once you read the question have the students hold up their cards and scan them. Look at the responses as they come up on the SmartBoard and discuss with students. This is a fun and unique way to review the story. You can also do this with a nonfiction reading passage. To help you get started with plickers I have created a set of 8 cards that you can use as practice questions. They are a mix of multiple choice, true/false and a voting option. You can download them from the resource library. The resource library is only available to email subscribers so if you are not a subscriber yet make sure to sign up. Just click the "newsletter signup" link at the top of any blog page.